One indicator of a good book is that you quickly begin to care for the characters. This is a charming story that will make you laugh, cry, and maybe even shake your head. As the heroine begins her new life in Speculator Falls, New York with a “bang,” she quickly becomes an engaging heroine, and the reader immediately wants her to succeed. Although the first-person, present tense point of view took a little getting used to for me, a lot of people enjoy the “in-the-now” feeling as they read. 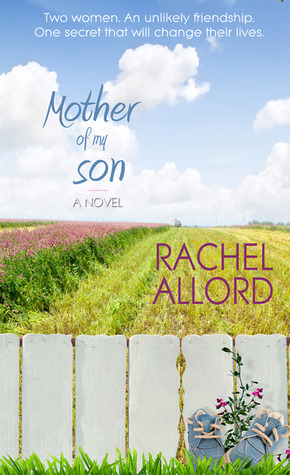 The believable, quirky characters and the story with a clear spiritual message made it a very enjoyable read. In a nutshell: A young woman ventures from her hometown to another state for the first time to live and work. 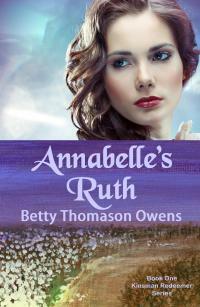 What obstacles and tests of her faith will she encounter, and how will she attack each one? As she tries to encourage others to surrender their fears to the Lord, how does she cope with her own? Jenna Anderson is a city girl who is clueless about small mountain town living. But one thing she does know is how to care about people. Ben Regan meets Jenna in a most awkward and unusual circumstance. As the two become acquainted, he sends Jenna mixed signals that have her running through a gamut of emotions. Sara Bivins, Ben’s grandmother, “village matriarch” becomes like a second mother to Jenna, freely imparting faith and wisdom in her lovingly persuasive manner. Howard Wheaton is Jenna’s favorite “curmudgeon” at the senior center. She instinctively sees a side of Howard that he tries hard to hide. Shirley McIlwain is the tenacious volunteer receptionist and self-proclaimed office manager at the senior center, who becomes Jenna’s right hand in organization. Kyle Swarthmore is an arrogant financial mogul who has ulterior motives for his generosity and a plan to undermine Ben’s hopes to expand his business. 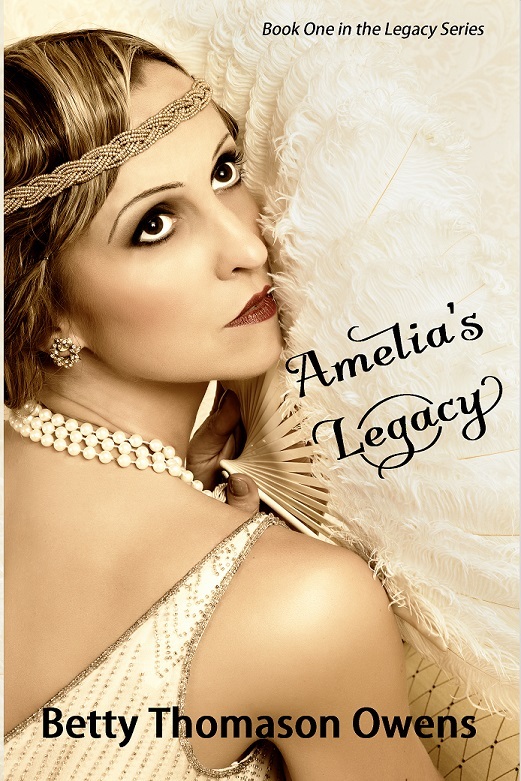 I thoroughly enjoyed the characters in this book which will keep you engaged and wanting to see what happens next. I loved the way Arduini employs humor in her story, and she had me giggling as I read. The characters are well-written and lovable. Well, most of them are lovable. But then antagonists aren’t supposed to be lovable, are they? If you like easy, fun reads with substance, this one certainly fits the bill. 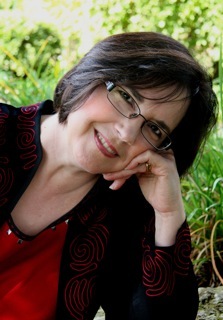 Julie Arduini loves to encourage readers to find freedom in Christ through surrender. 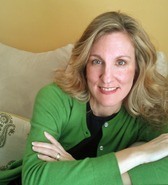 She’s the author of the Amazon bestseller, Entrusted and co-author of the international bestseller The Love Boat Bachelor. 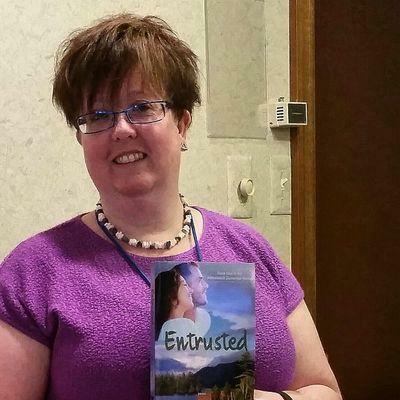 She also shared her story in the Amazon bestseller infertility devotional, A Walk in the Valley. She’s the fiction contributing editor for the digital magazine, Imaginate, and blogs every other Wednesday for Christians Read. She resides in Ohio with her husband and two children. 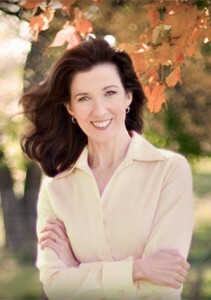 Learn more about Julie by visiting her at http://juliearduini.com. You can purchase her books at Barnes and Noble, Amazon, and CBD.com. 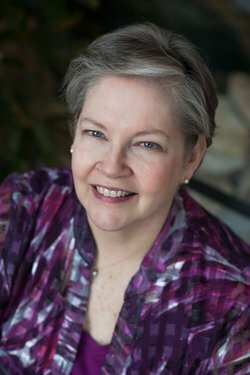 Elizabeth Camden is a master of historical romance novels. I once asked her how much time she spent doing research for each book, and she said, “about a year.” Not surprising the books she writes are so chock full of little known details that bring such life and authenticity to her stories. Camden’s also an expert of painting word pictures. You feel as though you are there from scene to scene like you can reach out and physically touch the characters, while you intimately connect with the protagonist’s conscience. 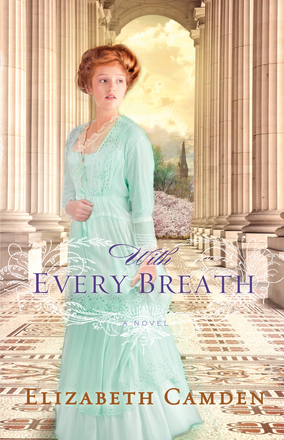 With Every Breath is a most apropos title for this story incorporating tuberculosis research in the late 1800’s that brings the hero and heroine together in a most surprising way. As more background and the inner selves of the characters are revealed, the emotions become stronger, mystery and intrigue increase, and it’s very hard to put this book down. One of the best things I liked about this book was the dialogue. Their personalities shone in detail as they bantered, quipped, struggled and competed with each other. 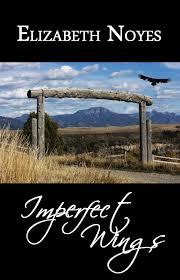 While Camden’s stories have a romantic thread, they are much deeper and carry a positive spiritual message. Kate Norton’s dream was shattered early in her life by “the terrible Trevor McDonough.” She suffered yet another major setback when she lost her husband., and after working for an unpleasant boss in a government job, Kate was ready for a change and a new challenge. And did she ever get both! Trevor McDonough was a loner, a brilliant loner. Even in high school he had no friends. It seems he had no patience for incompetency, no human warmth to share with his patients, or anyone else for that matter, and no desire to share his heart with anyone, especially Kate. And he wasn’t about to reveal to her the secrets from his past. Nurse Ackerman’s demeanor matched Dr. Kendall’s personality—cold and indifferent. She kept a close eye on the patients, aides, and orderlies on the hospital floor as well as keeping the doctor informed about the research’s publicity. Neill McDonough had uprooted Trevor from his native Scotland at the tender age of thirteen when the lad had “become inconvenient” and sent him to live in America with Senator Campbell. Why, after all this time, was Neill McDonough set on re-establishing a relationship with his son? Mrs. Kendall was the housekeeper at Senator Campbell’s house while Trevor lived there and Trevor’s only trusted friend. Could she be the source of information Kate needed to find out Trevor’s mysterious past? Timothy “Tick” Norton, Kate’s brother whom she’d practically raised, longed for his sister to treat him as the responsible adult he’d become, especially since he was now a private in the United States Marine Corp.
Pat: I know you love to research and write about the Victorian era and Gilded Age. What prompted you to make the decision to write about tuberculosis research during the end of the 19th century? Elizabeth: “It all relates back to why I tend to pick the late 19th century for ALL my novels. This was a huge, amazing time of innovation, in which technology and medical discoveries were happening at the speed of light. TB had been the most feared disease for centuries, but in the 1880’s medical scientists FINALLY identified what caused it. The hope was that now the hard part had been tackled, it would be a snap to cure it. So this was a time of huge anticipation as people were waiting for imminent news of a cure. All this makes for great drama. Pat: When is your next book coming out? 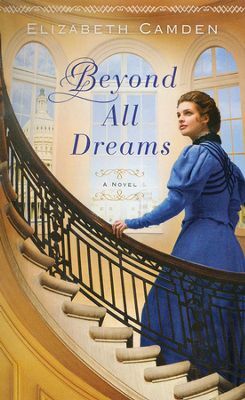 Elizabeth: The next book releases in January, called “Beyond All Dreams.” It is available for pre-order at Amazon.com. Anna O’Brien leads a predictable and quiet life as a map librarian at the illustrious Library of Congress until she stumbles across a baffling mystery of a ship disappeared at sea. She is thwarted in her attempts to uncover information, but her determination outweighs her shyness and she turns to a dashing congressman for help. Luke Callahan was one of the nation’s most powerful congressmen until his promising career became shadowed in scandal. Eager to share in a new cause and intrigued by the winsome librarian, he joins forces with Anna to solve the mystery of the lost ship. 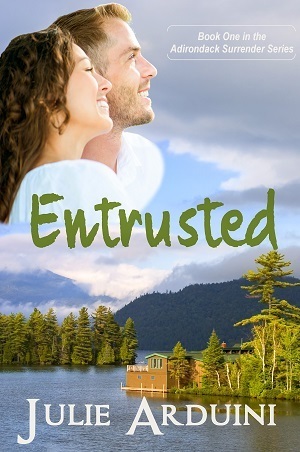 Opposites in every way, Anna and Luke are unexpectedly drawn to each other despite the strict rules forbidding Anna from any romantic entanglement with a member of Congress. From the gilded halls of the Capitol, where powerful men shape the future of the nation, to the scholarly archives of the nation’s finest library, Anna and Luke are soon embroiled in secrets much bigger and more perilous than they ever imagined. Is bringing the truth to light worth risking all they’ve ever dreamed for themselves?